Piano Works. Edward MacDowell. Dover Publications. 1990. ISBN 0486262936 (paperback). The noted American composer's best, most characteristic piano works, including all four sonatas, reprinted from original editions. Piano Sonatas: #1 "Tragica" in G minor, Op. 45; #2 "Eroica" in G minor, Op. 50; #3 "Norse" in D minor, Op. 57; #4 "Keltic" in E minor, Op. 59. Also includes Woodland Sketches, Op. 51, Sea Pieces, Op. 55; Fireside Tales, Op. 61; New England Idyls, Op. 62. 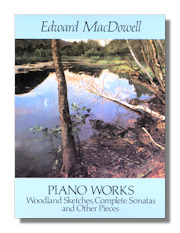 The Great Piano Works of Edward MacDowell. Edward MacDowell. Warner Brothers. 1997. ISBN 1576239799 (paperback). Includes the well-known piano solo "To a Wild Rose", along with selections from various collections including New England Idyls, Woodland Sketches, Twelve Études, Sea Pieces, Four Little Poems, and Twelve Virtuoso Études. His Sonata #3, Op. 57 is also featured in its entirety. 44 pieces on 160 pages. Symphonies #1 & 2 in Full Score. Gustav Mahler. Dover Publications. 1987. ISBN 0486254739 (paperback). 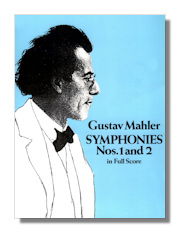 Unabridged, authoritative Austrian editions of Symphony #1 in D Major "Titan" & Symphony #2 in C Minor "Resurrection". Symphony #2 in C Minor "Resurrection". Gustav Mahler. Dover Publications. 1997. ISBN 048629952X (paperback). Miniature score. This symphony is scored for solo soprano, solo mezzo-soprano, chorus & orchestra. Reprinted from the Josef Weinberger edition. Symphonies #3 & 4 in Full Score. Gustav Mahler. Dover Publications. 1990. ISBN 0486261662 (paperback). Unabridged, authoritative Austrian editions of Symphony #3 in D Minor (1906 revision) & Symphony #4 in G Major (revised in 1910). Symphonies #5 & 6 in Full Score. Gustav Mahler. Dover Publications. 1991. ISBN 0486268888 (paperback). Unabridged, authoritative Austrian editions of Symphony #5 in C-Sharp Minor/D Major (1901-1904) & Symphony #6 in A Minor (1904-1906). Symphony #7 in Full Score. Gustav Mahler. Dover Publications. 1992. ISBN 0486273393 (paperback). Unabridged, authoritative German edition of 1909. Symphony #7 in B Minor/E Minor/C Major (1904-1905). Symphony #8 in Full Score. Gustav Mahler. Dover Publications. 1989. ISBN 0486260224 (paperback). Powerful synthesis of motet, dramatic cantata, ortorio, song cycle & symphony, scored for an ensemble of orchestra, eight solo voices, a double chorus, a boy's choir & organ. Edition by Izdatel'stvo "Muzyka," Moscow, 1976. Symphony #9 in Full Score. Gustav Mahler. Dover Publications. 1993. ISBN 0486274926 (paperback). Full Score, with new glossary of German terms, reprinted unabridged from the authoritative Universal-Edition, Vienna, 1912. Songs of a Wayfarer & Kindertotenlieder in Full Score. Gustav Mahler. Dover Publications. 1991. ISBN 0486263185 (paperback). Two complete song cycles for voice & full orchestra. Das Lied von der Erde in Full Score. Gustav Mahler. Dover Publications. 1988. ISBN 048625657X (paperback). Fusion of song & symphony. Reprinted from the original Viennese edition published in 1912 by Universal Edition with English translations of song texts. Three Song Cycles in Vocal Score. Gustav Mahler. Dover Publications. 1992. ISBN 048626954X (paperback). The vocal score consists of the original text, the vocal line of the music & a piano recduction of the usual full orchestral score. Included, the complete cycles: Songs of a Wayfarer, Kindertotenlieder & Das Lied von der Erde. 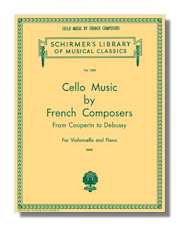 Cello Music by French Composers. Marin Marais, with François Couperin, Edouard Lalo, Louis de Caix d'Hervelois, Jules Massenet, Camille Saint-Saëns, Gabriel Fauré, Claude Debussy, Otto Deri (Editor). G. Schirmer, Inc. 1986. ISBN 0793552230 (paperback). Cavalleria Rusticana in Full Score. Pietro Mascagni. Dover Publications. 1994. ISBN 0486278662 (paperback). Opera. Bote & Bock edition reprinted. Cello Music by French Composers. Jules Massenet, with François Couperin, Marin Marais, Louis de Caix d'Hervelois, ,Edouard Lalo Camille Saint-Saëns, Gabriel Fauré, Claude Debussy, Otto Deri (Editor). G. Schirmer, Inc. 1986. ISBN 0793552230 (paperback). Manon in Full Score. Jules Massenet. Dover Publications. 1997. ISBN 048629871X (paperback). Full Score to the complete opera, Manon, reproduced from an authoritative French edition. The Complete Piano Sonatas, Volume 1. Nikolai Medtner. Dover Publications. 1998. ISBN 0486299783 (paperback). 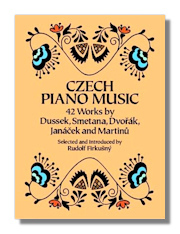 The Complete Piano Sonatas, Volume 2. Nikolai Medtner. Dover Publications. 1998. ISBN 0486299791 (paperback). Complete Works for Pianoforte Solo, Volume I. Mendelssohn. Dover Publications. 1975. ISBN 0486231364 (paperback). Featured in volume I: Capriccio in F-Sharp Minor, Sonata in E Major, Fantasy in F-Sharp Minor, more. Complete Works for Pianoforte Solo Volume II. Mendelssohn. Dover Publications. 1975. ISBN 0486231372 (paperback). Volume II contains: Sonata in G Minor, Op. 105; Sonata in B-Flat Major, Op. 106; & complete Songs Without Words (48 pieces), more. 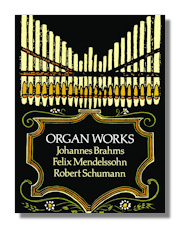 Organ Works of Brahms, Mendelssohn & Schumann. Felix Mendelssohn, with Brahms & Schumann. Dover Publications. 1991. ISBN 0486268284 (paperback). Complete Chamber Music for Strings. Felix Mendelssohn. Dover Publications. 1978. ISBN 048623679X (paperback). Contains (in score form) the Octet, 2 Quintets, 6 Quartets, Four pieces for String Quartet. Chamber Works for Piano & Strings. Felix Mendelssohn. Dover Publications. 1989. ISBN 0486261174 (paperback). Score Form. Contains three piano quartets, two piano trios, one violin sonata, two cello sonatas, a sextet & two works (Variations Concertantes & Lied ohne Worte) for cello & piano. 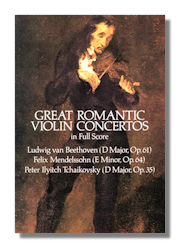 Great Romantic Violin Concertos in Full Score. Felix Mendelssohn, with Ludwig van Beethoven & Peter Ilyitch Tchaikovsky. Dover Publications. 1986. ISBN 0486249891 (paperback). Complete Works for Piano & Orchestra in Full Score. Felix Mendelssohn. Dover Publications. 1996. ISBN 0486290328 (paperback). Contains Concerto #1 in G Minor, Op. 25; Concerto #2 in D Minor, Op. 40; Capriccio Brillant, Op. 22; Rondo Brillant, Op. 29; Serenade & Allegro giocoso, Op. 43 in full score. Major Orchestral Works in Full Score. Felix Mendelssohn. Dover Publications. 1976. ISBN 0486231844 (paperback). Contents: Complete Midsummer Night's Dream; Hebrides Overture; Calm Sea & Prosperous Voyuage Overture; Symphony #3 in A ("Scottish"); & Symphony #4 in A ("Italian"). Symphony #4 in A Mahor, Op. 90 (Italian). Felix Mendelssohn. Dover Publications. 1997. ISBN 0486299538 (paperback). Miniature score, unabridged reproduction from Breitkopf & Härtel edition. Symphony #5 "Reformation" in Full Score. Felix Mendelssohn. Dover Publications. 1994. ISBN 0486278751 (paperback). Elijah in Full Score. Felix Mendelssohn. Dover Publications. 1995. ISBN 0486285049 (paperback). Included: German & English texts. Madrigals Books IV & V. Claudi Monteverdi, with Stanley Applebaum (preface & translations). Dover Publications. 1986. ISBN 0486251020 (paperback). Vocal score. New English translations printed alongside the most reliable Italian text. Madrigals Book VIII (Madrigali Guerrieri et Amorosi). Claudio Monteverdi. Dover Publications. 1991. ISBN 0486267393 (paperback). (Vocal Score) Reprinted from Italian edition, with new preface, new English translations of the original prefatory material & the Italian texts printed in poem form facing new English line-by-line translations. Pictures At An Exhibition & Other Works for Piano. Modest Petrovich Mussorgsky. Dover Publications. 1991. ISBN 0486265153 (paperback). The original piano suite, along with virtually all of Mussorgsky's other piano compositions. Selected Songs for Voice & Piano. Modest Petrovich Mussorgsky. Dover Publications. 1994. ISBN 0486280896 (paperback). Collection of 25 songs for voice & piano, including Darling Savishna, Hopak, the Orphan, Eremushka's Lullaby, the song cycles The Nursery, Sunless, and Songs of Death, Méphistophélès' Song of the Flea & more. Boris Godunov in Full Score. Modest Petrovich Mussorgsky, with Rimsky-Korsakov (Editor). Dover Publications. 1987. ISBN 048625321X (paperback). Opera. Reproduced from Russian edition, 1959. 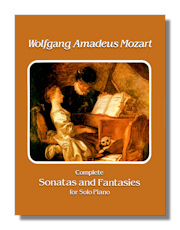 Complete Sonatas & Fantasies for Solo Piano. Wolfgang Mozart. Dover Publications. 1996. ISBN 0486292223 (paperback). Reprinted from authoritative Breitkopf & Härtel's Complete Works edition. Variations, Rondos & Other Works for Piano. Wolfgang Mozart. Dover Publications. 1991. ISBN 0486268829 (paperback). Thirty-seven pieces reprinted from the Breitkopf and Härtel edition. Variations on "Mio Caro Adone" by salieri, K.180/173c; Variations on "Ah vous dirai-je maman," K.265/300e; Variations on "La belle françoise," K. 353/300f; Variations on "Unser dummer Pobel meint" by Gluck, K. 455; Rondo in D Major, K485; Rondo in A Minor, K. 511; Allegro in G Minor, K.312/590d; Capriccio in C Major, K.395/300g; Allegro & Andante, K.533; Adagio in B Minor, K.540 & more. Works for Four Hands & Two Pianos. Wolfgang Mozart. Dover Publications. 1990. ISBN 0486265013 (paperback). Includes compositions for piano four-hands: Sonata in D Major (K. 381/123a); Sonata B-flat Major (K.358/186c); Sonata in F Major (K.497); Sonata in C Major (K. 521) & the Theme & Variations in G Major (K. 501). Compositions for Two Pianos are Sonata in D Major (K. 448/375a) & the Fugue in C Minor (K. 426). Complete Sonatas & Variations for Violin & Piano, Volume I. Wolfgang Mozart. Dover Publications. 1992. ISBN 0486272990 (paperback). Series I contains 24 sonatas composed between 1762 & 1781 - K. 6-15, K.26-31, K.296, K.301-306 & K. 372. This is printed in score form (there is no separate violin part). Complete Sonatas & Variations for Violin & Piano, Volume II. Wolfgang Mozart. Dover Publications. 1992. ISBN 0486274063 (paperback). Series II contains 12 sonatas composed between 1781 & 1788 - K.376-380, K.402-404, K.454, K.481, K.526 & K.547. Also, two sets of variations on French songs for violin & keyboard: "La bergere Celimene" K. 359; & "Helas, J'ai perdu mon amant" K 360. These are in score form & do not contain separate violin part. Songs for Solo Voice & Piano. Wolfgang Mozart. Dover Publications. 1993. ISBN 048627568X (paperback). Score. Forty favorite Mozart songs, reprinted from the German edition, with new literal lline-for-line translations of German, French & Italian texts. Contents: Abendempfindung, Die Alte, Sehnsucht nach dem Fruehling, Das Veilchen, An Chloé, Komm lieber Mai, Das Lied der Trennung, Das Bandschen, Wiegenlied, Angeblich & die Freude, Daphne, deine Rosenwangen, Die kleine Spinnerin, Geheime Liebe, Der Zauberer, An die Hoffnung, Das Kinderspiel, Gesellenreise, Arietta, Dans un bois solitaire, Canzonetta, Ridente la Calma, more. Complete Piano Trios, Piano Quartets & Piano Quintet. Wolfgang Mozart. Dover Publications. 1991. ISBN 0486267148 (paperback). All eight piano trios, the two piano quartets & the piano quintet in score form. First Violin Part. ISBN 0486243230 (paperback). Second Violin Part. ISBN 0486243249 (paperback). Viola Part. ISBN 0486243257 (paperback). Cello Part. ISBN 0486243265 (paperback). The Six Haydn Quartets: Complete Set. Wolfgang Mozart. Dover Publications. 1982. ISBN 0486243222 (paperback). Complete String Quartets. Wolfgang Mozart. Dover Publications. 1970. ISBN 0486223728 (paperback). All 23 string quartets plus alternate slow movement to K. 156 in score form. Complete String Quintets. Wolfgang Mozart. Dover Publications. 1978. ISBN 048623603X (paperback). All five standard-instrumentation (first & second violin, first & second viola & cello) quintets, plus String Quintet in C Minor, K. 406; Quintet with Horn or Second Cello, K. 407; & Clarinet Quintet, K. 581. 17 Divertimenti for Various Instruments. Wolfgang Mozart. Dover Publications. 1979. ISBN 0486238628 (paperback). Created for a typical ensemble of from six to fourteen players, on such instruments as strings, clarinet, bassoon, oboe, horns, flute & drums, these Divertimenti from the years 1771 - 1779 are short sparkling pieces of vitality & brilliance. Consecutively numbered works from 1 to 17. Complete Serenades in Full Score, Volume I. Wolfgang Mozart. Dover Publications. 1990. ISBN 048626565X (paperback). Volume One contains Serenata Notturna, K. 239; "Haffner" Serenade, K. 250/248b; Serenade in C Minor, K 388/384a; A Musical Joke (Ein musikialischer Spass), K. 522 & more. Complete Serenades in Full Score, Volume II. Wolfgang Mozart. Dover Publications. 1990. ISBN 0486265668 (paperback). Volume Two contains Eine Kleine Nachtmusic,K.525; "Posthorn" Serenade, K. 320; Serenade in E-flat Major, K. 375; Serenade in B-flat, K. 361/370a; Serenade in D Major, K. 203/189b; more. The Violin Concerti & the Sinfonia concertante, K. 364, in Full Score. Wolfgang Mozart. Dover Publications. 1986. ISBN 0486251691 (paperback). The Five violin concerti & the double concerto for violin & viola (Sinfonia Concertante) in full score form. No separate parts for violin & viola. Piano Concertos #11-16 in Full Score. Wolfgang Mozart. Dover Publications. 1987. ISBN 0486254682 (paperback). This full score edition includes Mozart's own cadenzas for the concerti now. 12-16. Piano Concertos #17-22 in Full Score. Wolfgang Mozart. Dover Publications. 1978. ISBN 0486235998 (paperback). This full score edition includes Mozart's own cadenzas for the concerti #17 -19. Included: #17 in G Major, K.453; #18 in B-Flat Major, K.456; #19 in F Major, K. 459; #20 in D Minor, K.466; #21 in C Major, K. 467; #22 in E-Flat Major, K. 482. Piano Concertos #20-22 With Orchestral Reduction for Second Piano. Wolfgang Mozart. Dover Publications. 1995. ISBN 0486284352 (paperback). Piano Concertos #23-27 in Full Score. Wolfgang Mozart. Dover Publications. 1990. ISBN 0486236005 (paperback). Mozart's last five piano concerti in full score, plus cadenzas for #23 & 27 & the Concerto Rondo in D Major, K.382. Piano Concerto #21 in C Major, K. 467. Wolfgang Mozart. Dover Publications. 1991. ISBN 0486267474 (paperback). Piano Concerto #25 in C Major K. 503 in Full Score. Wolfgang Mozart, Joseph Kerman. W.W. Norton & Company. 1970. ISBN 0393098907 (paperback). Piano Concerto #26 in D Major "Coronation", K. 537. Wolfgang Mozart. Dover Publications. 1991. ISBN 0486267474 (paperback). Symphonies #22-34 in Full Score. Wolfgang Mozart. Dover Publications. 1991. ISBN 0486266753 (paperback). Full score of the symphonies composed between 1773 to 1780. Symphony #40 in G Minor, K550. Wolfgang Mozart, Nathan Broder. W.W. Norton & Company. 1967. ISBN 0486298493 (paperback). Miniature Score. Republication of unabridged Breitkopf & Härtel edition. Symphony #40 in G Minor, K550 & Symphony #41 in C Major, K551 "Jupiter". Wolfgang Mozart. Dover Publications. 1997. ISBN 0486298493 (paperback). Later Symphonies. Wolfgang Mozart. Dover Publications. 1974. ISBN 048623052X (paperback). Seven final symphonies (nos. 35 -41) reproduced in full score form. Seven Great Opera Overtures in Full Score. Wolfgang Mozart. Dover Publications. 1998. ISBN 048640174X (paperback). contains full scores for the Overtures to Idomeneo (K366); The Abduction from the Seraglio (K384); The Marriage of Figaro (K492); Don Giovanni (K527); Cos&iarave; Fan Tutte (K588); The Magic Flute (K620) and La Clemenza di Tito (K621). The Abduction From the Seraglio in Full Score. Wolfgang Amadeaus Mozart. Dover Publications. 1989. ISBN 0486260046 (paperback). Full Score of this opera including all spoken dialogue. Reproduced from the German edition. Così Fan Tutte in Full Score. Wolfgang Amadeaus Mozart. Dover Publications. 1983. ISBN 0486245284 (paperback). Full Score of this opera including all spoken dialogue. Reproduced from the C.F. Peters edition. Don Giovanni in Full Score. Wolfgang Mozart. Dover Publications. 1976. ISBN 0486230260 (paperback). Peters edition reprint, containing everything from the original version, along with later arias, recitativves & duets added for the Vienna performance. Text in both Italian & German. Idomeneo in Full Score. Wolfgang Amadeaus Mozart. Dover Publications. 1992. ISBN 0486271080 (paperback). La Clemenza di Tito in Full Score. Wolfgang Amadeaus Mozart. Dover Publications. 1993. ISBN 048627540X (paperback). The Magic Flute in Full Score. Wolfgang Mozart. Dover Publications. 1985. ISBN 048624783X (paperback). Die Zauberflöte, complete, in German. The Marriage of Figaro in Full Score. Wolfgang Mozart. Dover Publications. 1979. ISBN 0486237516 (paperback). Opera reprinted from the C.F. Peters 1941 score, including passages often cut in other editions. Three Mozart Libretti: The Marriage of Figaro Don Giovanni & Cosí Fan Tutte. Wolfgang Mozart, et al. Dover Publications. 1993. ISBN 0486277267 (paperback). Six Masses in Full Score. Wolfgang Mozart. Dover Publications. 1992. ISBN 0486270866 (paperback). Requiem. Wolfgang Mozart. Dover Publications. 1998. ISBN 0486401162 (paperback). Miniature score: Full score for soloists, orchestra & chorus for the Requiem, K626. Requiem in Full Score. Wolfgang Mozart. Dover Publications. 1987. ISBN 0486253112 (paperback). Requiem for orchestra, chorus and four soloists in full score form.